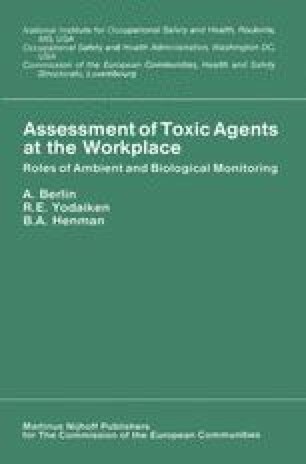 This paper shows that the chemical engineer’s role in occupational health extends from the laboratory, where the fundamental elements of a process are developed; to the pilot plant, where questions of unit operation and equipment design can impact heavily on elements of occupational health and safety; and then to the commercial operation, where monitoring and improved equipment design are intertwined to lower fugitive emissions and reduce worker exposure to potentially toxic products. This paper illustrates how the chemical engineer’s involvement in occupational health can extend beyond these normal uses of his skills to the development of data for use in defining safety measures and in the development of regulations themselves. Examples are drawn from experiences in the conversion of coal to gas and oil.